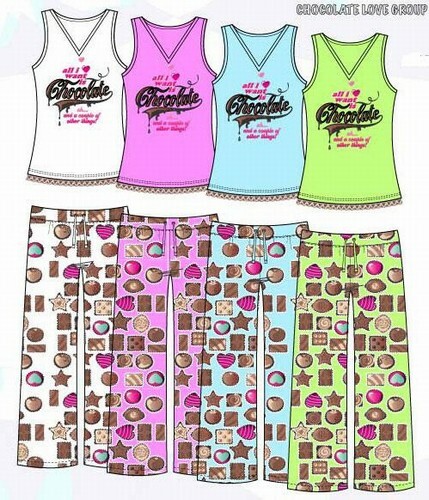 The tops are a poly-cotton blend and the bottoms are 100% Cotton Capri Pants. 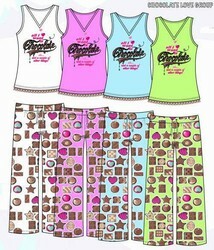 "All I want is Chocolate" slogan with chocolate print on the long pj bottom. All individually packed with tags in polybag. Perfect for juniors and people who are petite.